The turn end table has a contemporary feel with an organic flair. 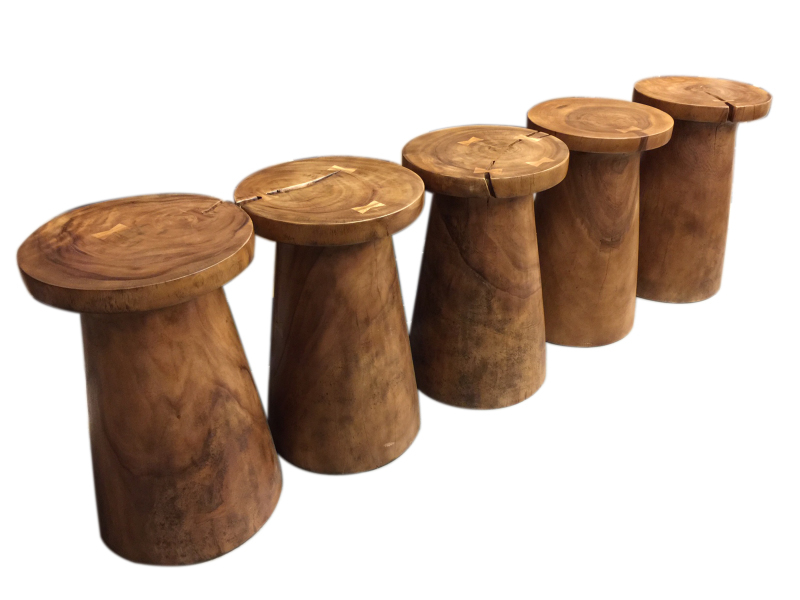 It can work in any setting as an end table, stool or occasional table. It measures 16" x 16" x 26" tall. 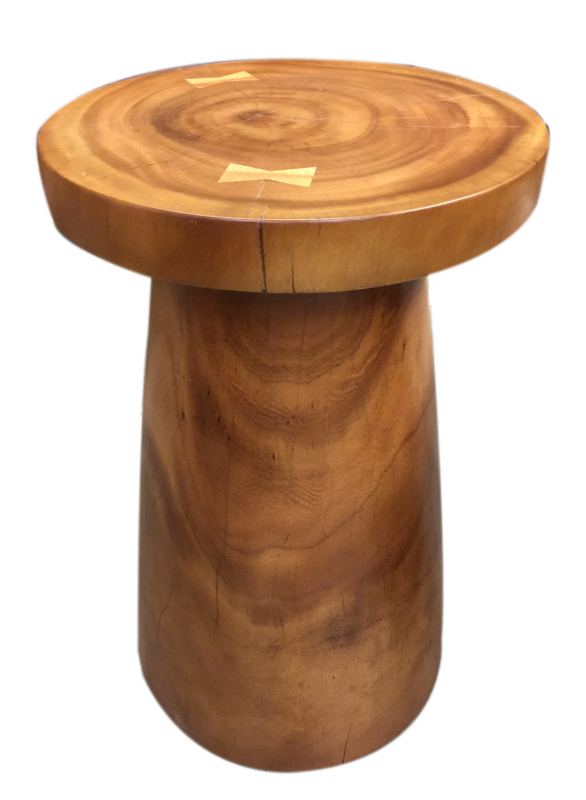 Weighing in at 61 lbs., it's a sturdy piece made from solid tropical hardwood with a honey colored finish. Each piece is different from the next. Please see the photos which demonstrate the variety in character.